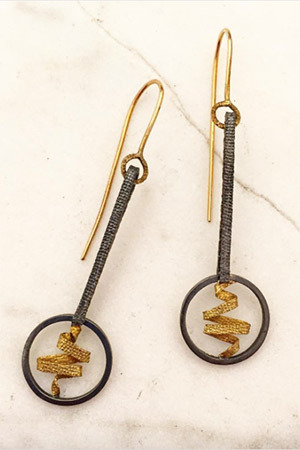 Silver and gold dangle “Energy” earrings, hammered, printed, patina, inspired by nature. $250. Prices may vary dependent on market fluctuations in the cost of materials.